How Does a Tub Diverter Valve Work? A tub diverter valve is a small device included in the plumbing of the average tub/shower installed in most modern homes. The exact form may vary from tub to tub, but when engaged, instead of the tub faucet pouring out water, the showerhead turns on. 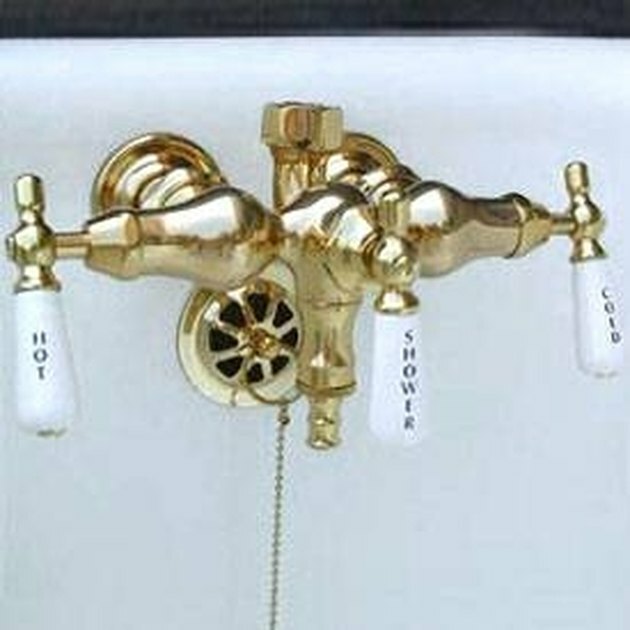 This is reliant on the structure of the bath's plumbing and is cheaper than creating two separate fixtures, which would require two separate pipes. What is a Tub Diverter Valve? Basically, the main water pipe running to the bathroom starts at the tub faucet and then runs vertically to connect the same waterway to the showerhead above the faucet. When the faucet is turned on, water rushes to the first port and drains into the tub. Because the tub is turned on, there is no water pressure to force the water in the pipes upward, against the power of gravity, to engage the showerhead. When you want to use the showerhead, you still turn the faucet on, but then turn the switch atop the faucet, which is connected to the tub diverter valve. The valve turns within the pipes, blocking off the tub faucet, forcing the water upward to the showerhead instead. How Do I Check a Tub Diverter Valve for Problems? Tub diverter valves can get old and will eventually need to be replaced as they corrode internally. When this happens, the water pressure coming from the showerhead will be low and water will sporadically switch between the tub and shower at random. The only way to diagnose this is to unscrew the showerhead from the pipe in the wall and then turn on the water to the shower. If the water comes out with no problems, it means the showerhead or shower hose is clogged. If the water still comes in fitful spurts, then it means the diverter valve needs to be replaced, a job for a professional plumber. How Does an Overflow Drain on a Bathtub Work?